But efficiency of making changes is clearly something that we should be concerned about! Training with real world devices can be expensive, never mind having the correct combination of devices for every training scenario required. VueSim is a smart display system that contains an embedded processor, which can read industry standard data busses (serial, Ethernet, ARINC-429, etc.) and render high-definition graphics for an ultra-realistic simulator. This makes it perfect for flight simulators requiring a Primary Flight Display (PFD) or Multifunction Display (MFD). LED backlight options include standard luminance, sunlight readable, and NVIS compatible. All LED backlights include an integrated controller. The design of the display control allows for expansion, such as ARINC 429, Modbus, CAN, ARINC 664 (aka AFDX) and other custom modules. The unit can be configured with a variety of commercial CPUs & GPUs for displaying high quality graphics. 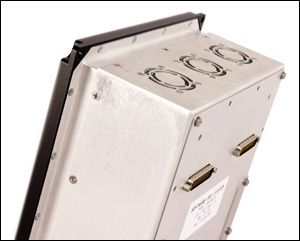 Ideal for the aerospace simulation market, VueSim can be fitted with standard or optional bezels that include a selection of buttons, rotary encoders, switches, and indicators, all of which are user definable. An optional touch interface is also readily available. Mi-HMI is a smart display system that contains an embedded processor, which can read industry standard data busses (serial, Ethernet, etc.) and render high-definition graphics for an ultra-realistic simulator. The design of the display control allows for expansion, such as Modbus, CAN and other custom modules. The unit can be configured with a variety of commercial CPUs & GPUs for displaying high quality graphics. Ideal for many simulation markets (Medical, Transportation, Industrial, etc. ), Mi-HMI can be fitted with standard or optional bezels that include a selection of buttons, rotary encoders, switches, and indicators, all of which are user definable. An optional touch interface is also readily available. 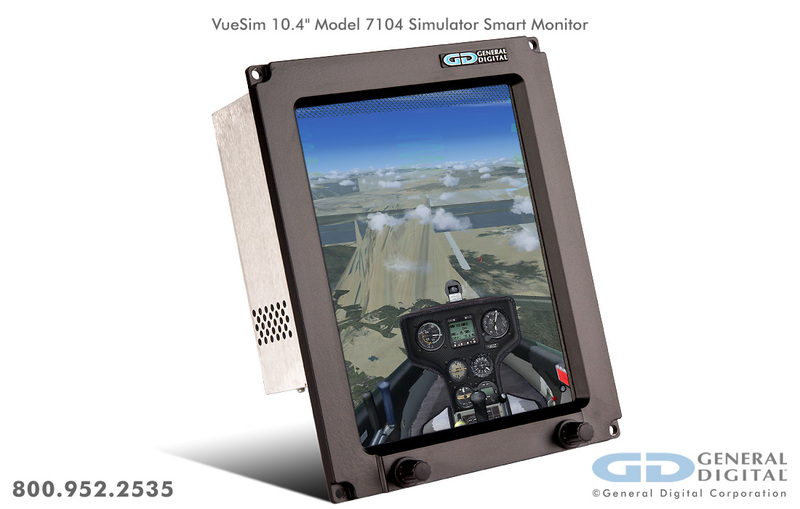 The VueSim can be configured to receive and render the same cockpit data as a fully FAA-certified EFIS at a greatly reduced cost since it does not have to be FAA-certified (DO-178/DO-254/DO-160) for the simulation environment. It can easily be configured to process flight data from a variety of sources including ARINC 429 (e.g., ADAHARS, ADF IAS, NAVCOM), Ethernet, discrete I/O and/or other buses (e.g., ARINC 453, MIL-STD-1553), depending on the end user’s requirements. General Digital can tailor the VueSim and Mi-HMI to simulate virtually any device by configuring the unit with an assortment of components. They supports a variety of display options. The performance can be further augmented. General Digital’s engineering expertise in the fields of mechanical, electrical, optical and software engineering can be further leveraged to tailor the VueSim and Mi-HMI to exacting requirements and standards. Please speak with a Sales Engineer for additional information. Below is an overview of a typical General Digital VueSim Series model number. Having a good understanding of the structure of our model numbers will help you configure your monitor. 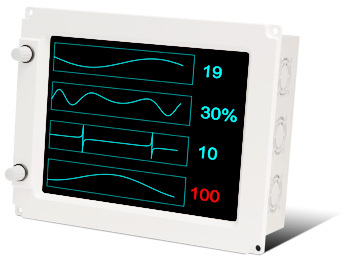 The VueSim and Mi-HMI enclosures have been carefully designed to allow our design engineers to modify/customize the existing designs to accommodate a limitless variety of display size/resolution combinations. In the tables below is a small sampling of display panels that we have integrated into monitors, or verified compatibility. New display models are constantly being introduced to the market by the LCD manufacturers, making it extremely difficult for us to maintain a comprehensive list. The VueSim is highly configurable. Although generally equipped with our standard overlay options, there are many custom overlay options that can be added in front or behind the LCD to further improve its performance. Please speak with an Applications Engineer to select the right overlay for your budget and performance requirements. Note that a unique numerical identifier will be assigned depending on the specific overlay(s) selected. Download a list with most of our available display overlays. Note that the VueSim’s standard power source is a DC-DC converter. However, an optional AC power supply is available. Consult a Sales Engineer for more information. 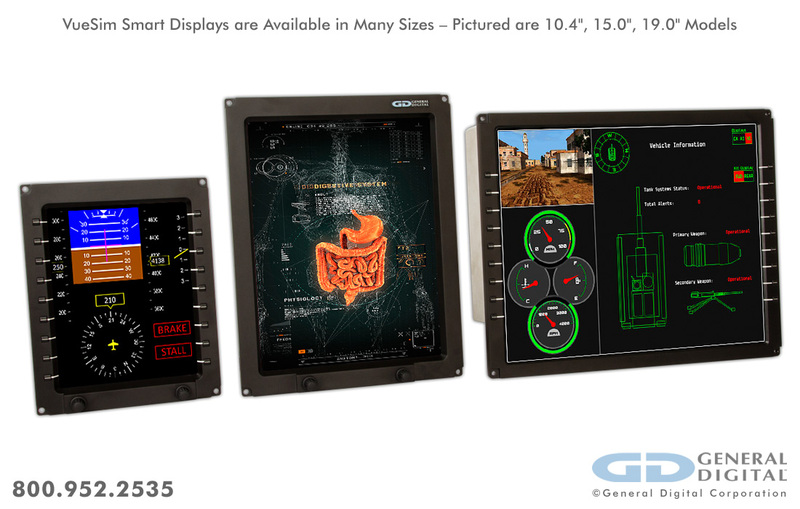 General Digital designs and manufactures scores of standard and custom monitor configurations each year, making the creation of informational and technical documentation for each configuration impractical. We’ve found that by efficiently combining data into a select few documents, we answer most questions that customers typically ask. We strive to keep our documentation as current as possible, given the rapidly changing nature of the industry, which is why we recommend checking back periodically for updates. Please feel welcome to request any information not found here. User’s Manuals and Calibration & Setup Guides are available for customers only. Contact us if you have lost the password provided with your product. Drivers are available for customers only. Contact us if you have lost the password provided with your product. 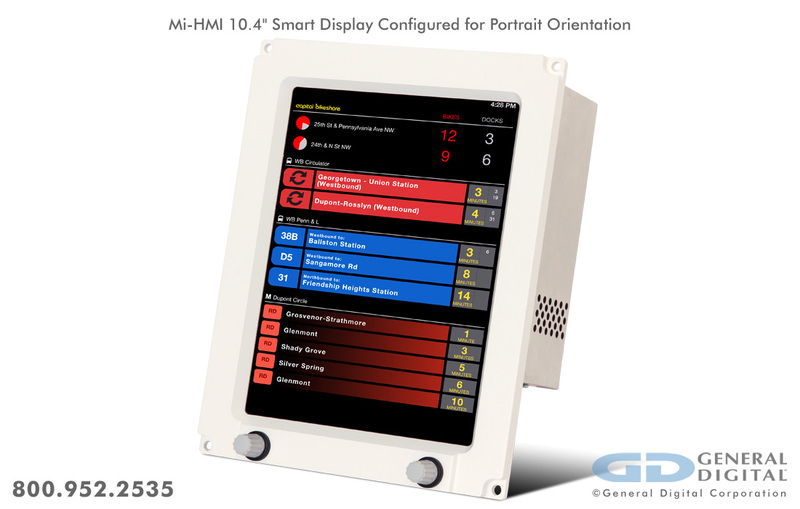 The photos below represent General Digital’s demonstration model of VueSim and Mi-HMI LCD products. They serve to illustrate the capabilities of the VueSim and Mi-HMI, and their integrated software. Click the thumbnails to view full-size photos. 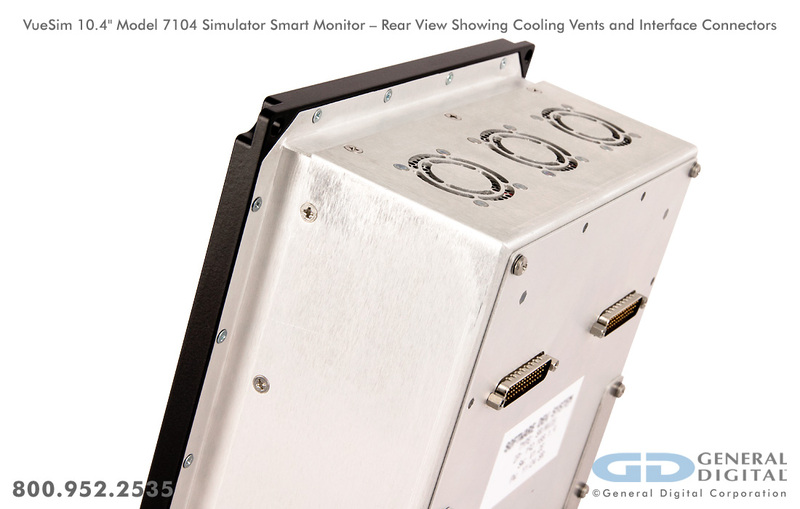 Watch the videos below to learn about our VueSim and Mi-HMI smart displays built for simulators and other applications requiring user-defined vector graphics. 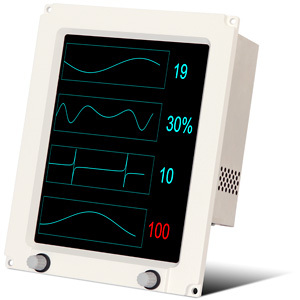 The VueSim™ smart simulation display is a versatile, highly-configurable system designed to provide an easy-to-use, complete display solution for simulator manufacturers. 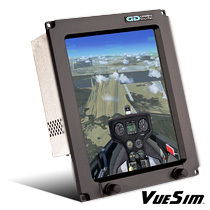 VueSim was designed to perfectly emulate PFDs and MFDs for simulators, and yet cost a fraction of what a certified display costs. You can configure VueSim to suit your application, or have our software division do it for you. 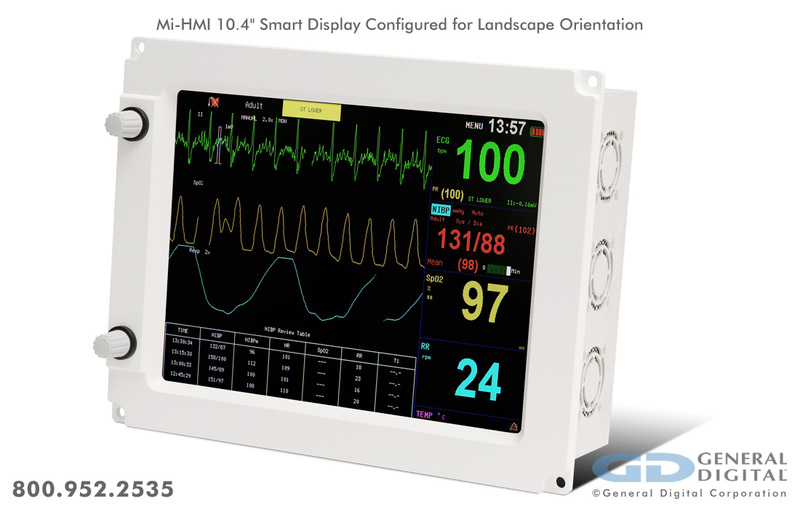 Mi-HMI is a fully reconfigurable Human-Machine Interface solution, consisting of a display platform to allow interfacing to any signals/devices, and renders user-defined vector graphics to the display.